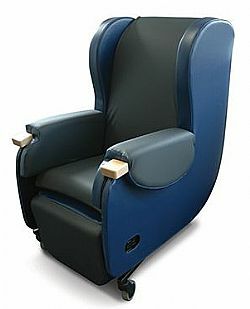 Able Care is your local stockist of CareFlex specialist seating. In everyday life, we generally take our sitting posture for granted. But when a little more help is needed to keep a person comfortable and safe, the chair they sit in needs to do some of the work. 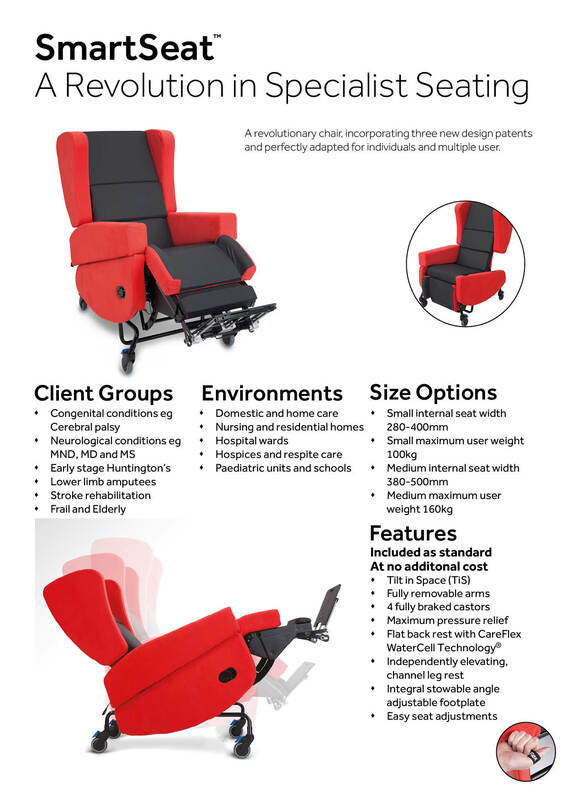 Specialist seating offers a solution for balancing the four key considerations when choosing a bespoke chair: Comfort, pressure relief, posture control and independence. One of the main issues when sitting or lying down for long periods is the discomfort caused by skin and soft tissue damage which happens when soft tissues are compressed to the point where circulation stops. Pressure ulcers can develop, and are made worse by factors such as incontinence, immobility, sensory impairment and age. 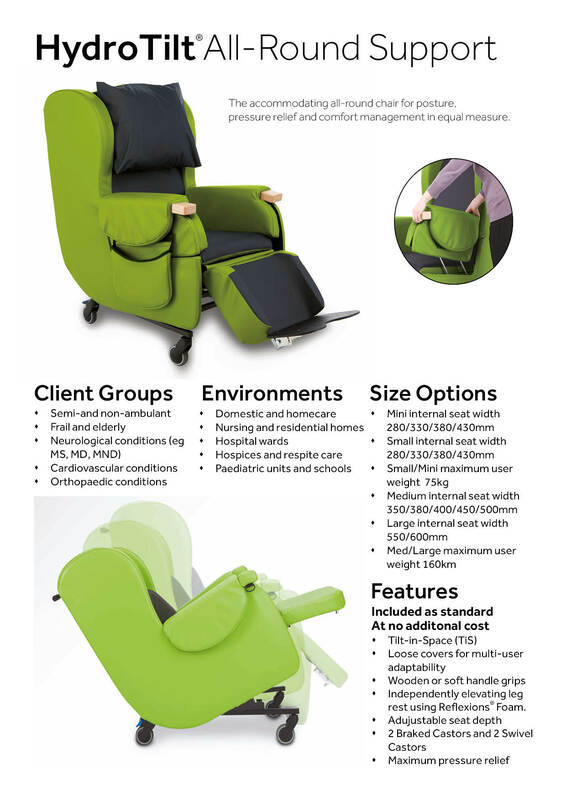 There is no compromise on quality when you order a CareFlex Chair. 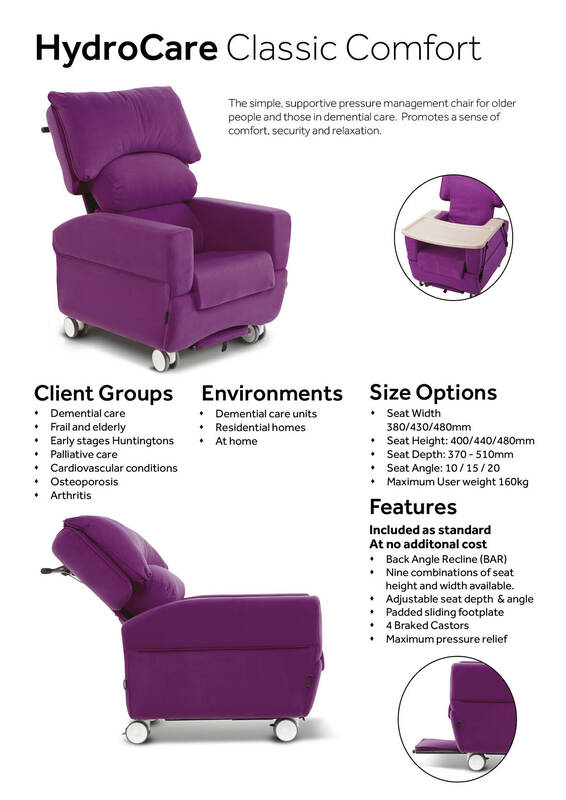 Choose the SmartSeat, SmartSeatPro, HydroTilt, HydroFlex or HydroCare. 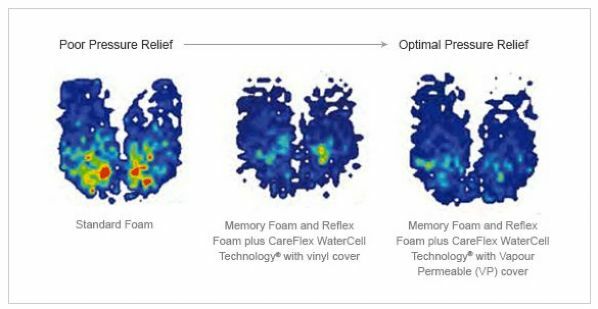 All come with CareFlex's patented pressure relieving WaterCell Technology fitted as standard. 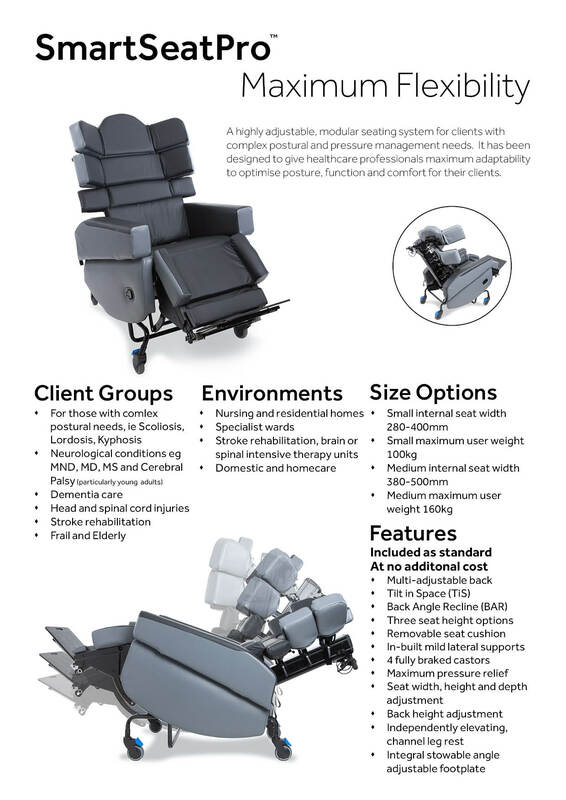 You can customise the chair to suit the user’s requirements, choosing a flat or contoured back, plus the additional option of a waterfall back with the HydroCare. Various accessory options are available. 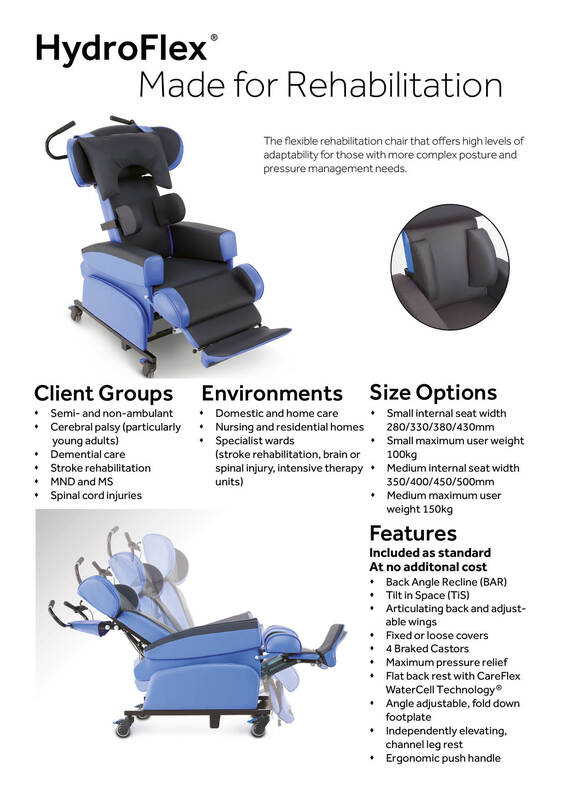 Contact us to arrange a free no-obligation CareFlex Consultation. 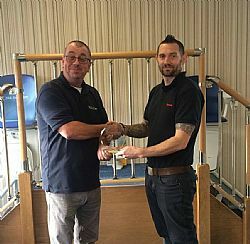 Everyone that I have dealt with in your company for my Mother's stairlift has been excellent and I would have no hesitation in recommending your company. Thanks again.